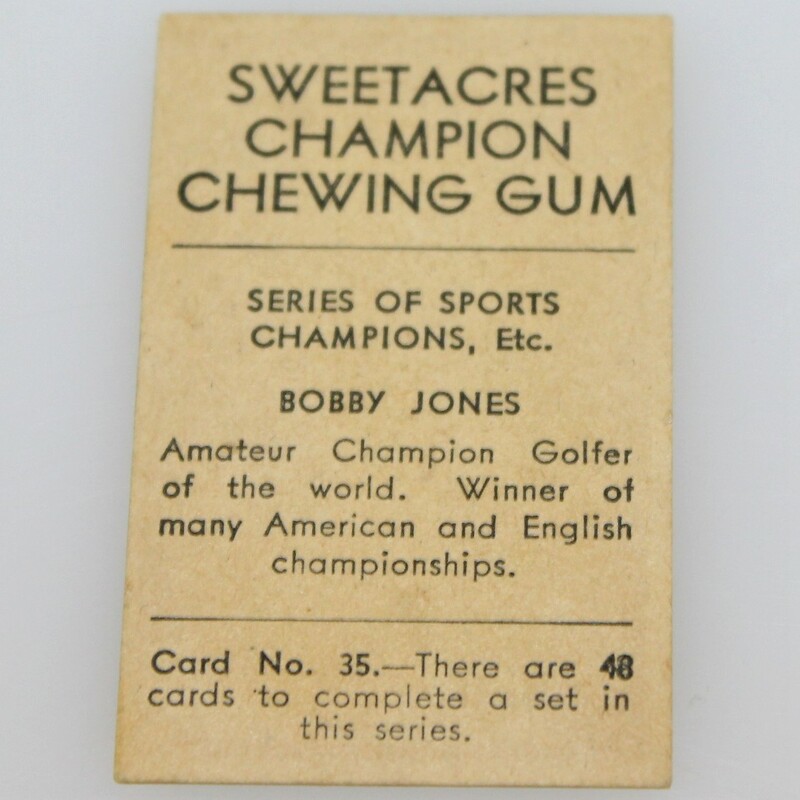 The Sweetacres Champion Chewing Gum Series of Sports Champions Etc. cards were released in Australia, making them seldom seen here in the US. 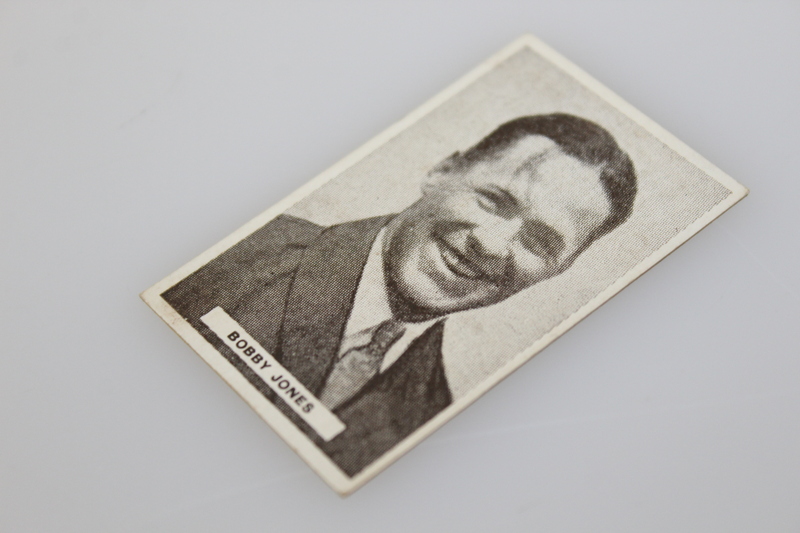 Offered here is card #35/48 featuring Bobby Jones. 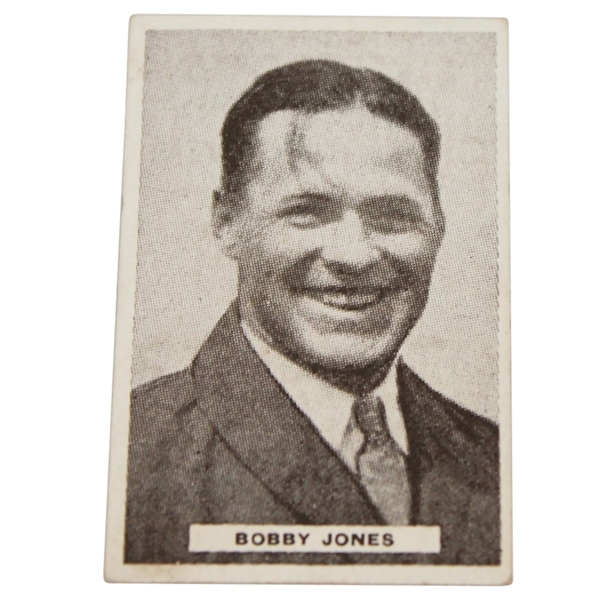 Jones was one of 3 golfers commemorated by the card set. The card comes in good condition and is highly presentable.